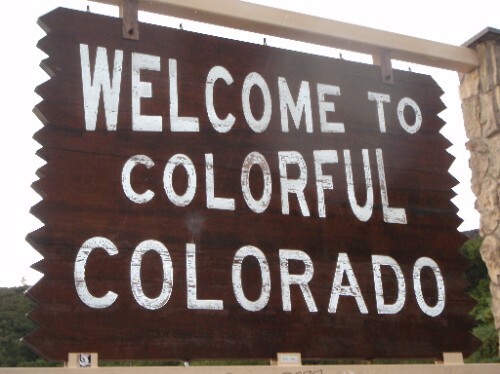 Well Colorado is pretty awesome... and, as the welcome sign says, it is very colorful... but I think they meant the people. Liz and I have come across some colorful people that have made this trip even more awesome! We have made friends in the Bars, Brian from McCabes, Sam the dancing man at McCabes and Logan and Eddie from the Roo Bar and other's along the way like Mylee from REI in Denver. Great people, great times! Tomorrow is going to be a long day. We are heading to Cheyenne, Wyoming; Alliance, Nebraska; and lodging in Rapid City, South Dakota. Lots to do and so little time. But the scenery along the way is spectacular.